An eastern Iowa art museum is offering free admission for the next week as a holiday treat for its visitors. 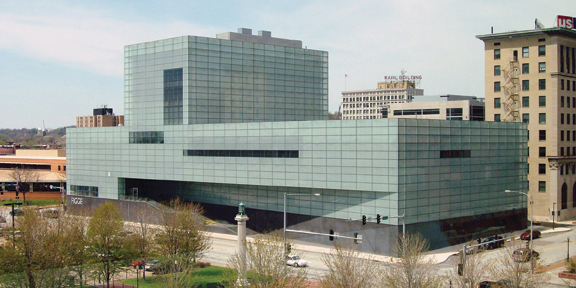 Tim Schiffer, executive director of the Figge Art Museum in Davenport, says compared to last year, three times more people have visited the museum since a special exhibit on French Moderns opened in October. The exhibit called “French Moderns: Monet to Matisse, 1850 to 1950” features 60 works of art that are part of a traveling exhibit from the Brooklyn Museum in New York. He says some venues charge an extra fee, up to $10 above the regular admission price, just to see the special exhibit, but that wasn’t the case in Davenport. The free admission runs through January 6th, which is also the final day for the exhibit. Schiffer predicts an upcoming exhibit featuring Tiffany glass will also be very popular for the Davenport institution.